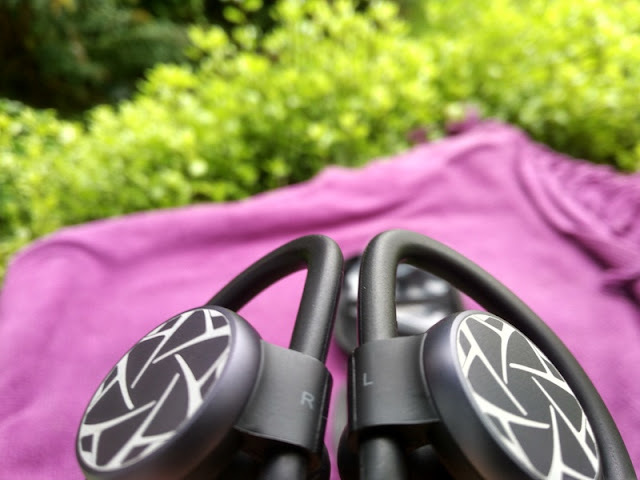 The iSpecle Bluetooth sports headphones integrate a CSR8645 Bluetooth 4.1 chip that features aptX technology and CVC 6.0 technology that improves the wireless sound and reduce background noise. 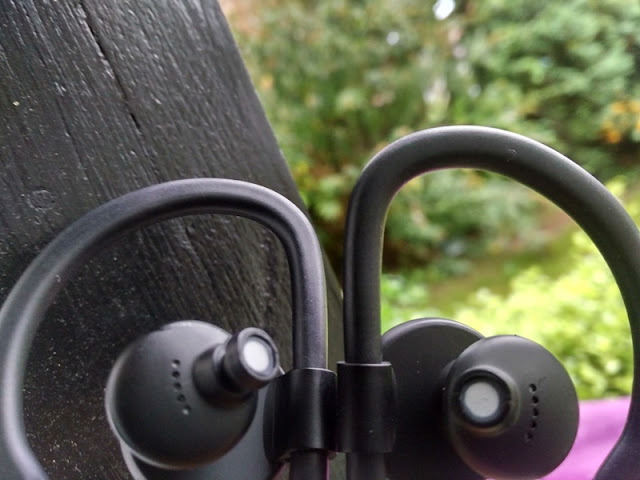 The iSpecle Bluetooth sports earphones fully charge in 2.5 hours and deliver around eight hours of battery life thanks to two built-in rechargeable lithium batteries. 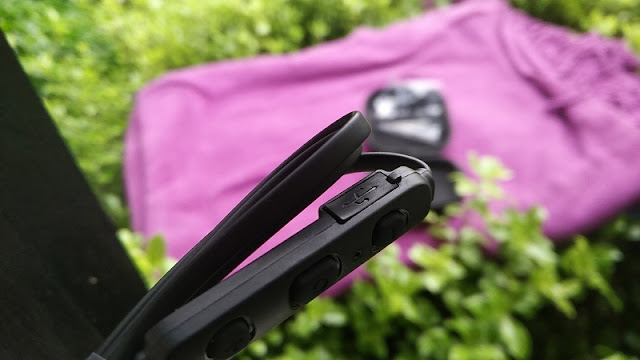 Each battery has a rating of 55mAh, making it a total of 110 mAh. 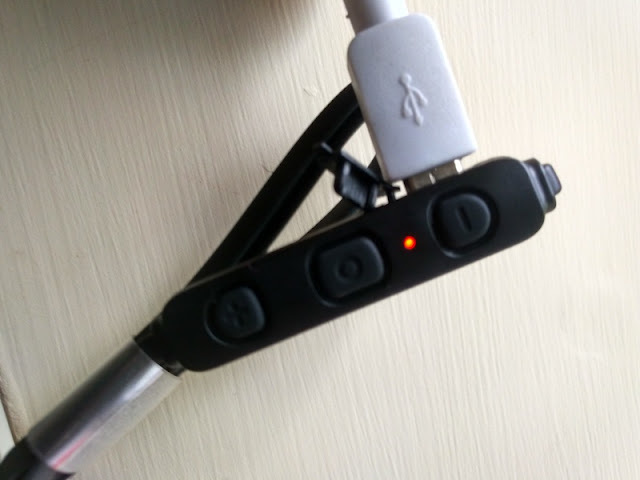 While charging, the LED indicator shows solid red. When charging is complete, the LED turns solid blue. The iSpecle earphones automatically enter stand-by mode when your phone is out of range or powered off. (110 hours standby time). 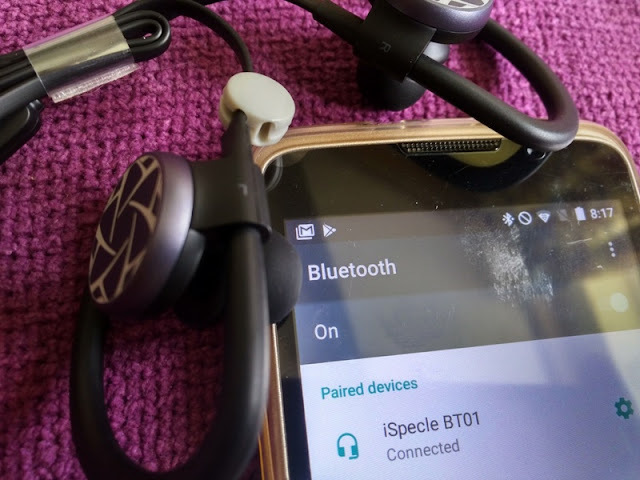 Once paired to a device, the iSpecle earphones automatically connect. 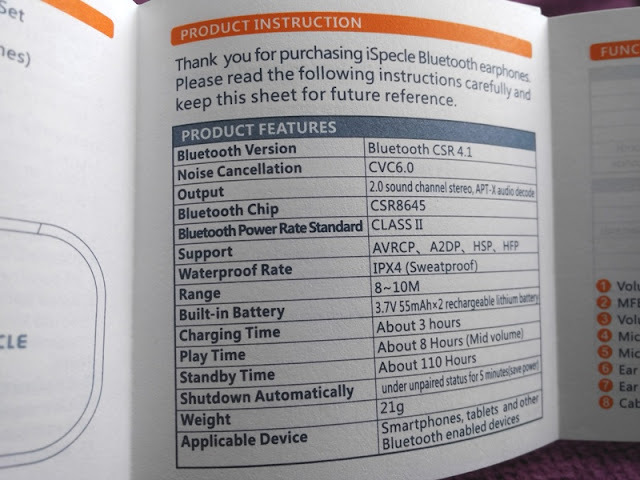 To save power, the iSpecle earphones will automatically shut down when not in use for longer than five minutes. 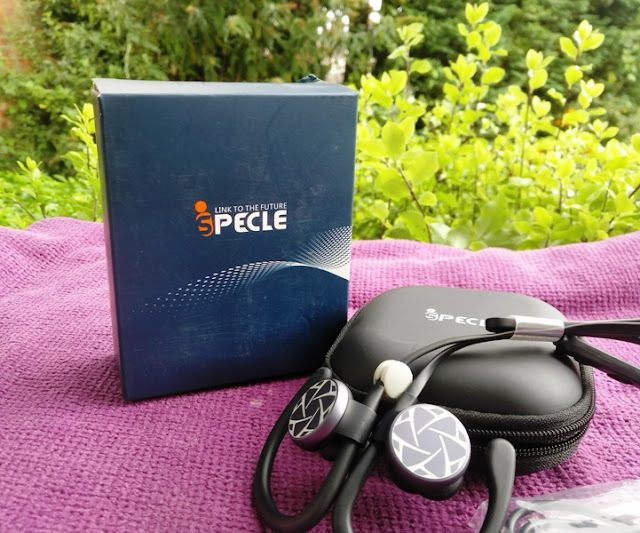 The iSpecle remote control is located inline on a flat cable and allows you to play/pause, volume up and volume down, as well as skip to the next song or skip to the last song. 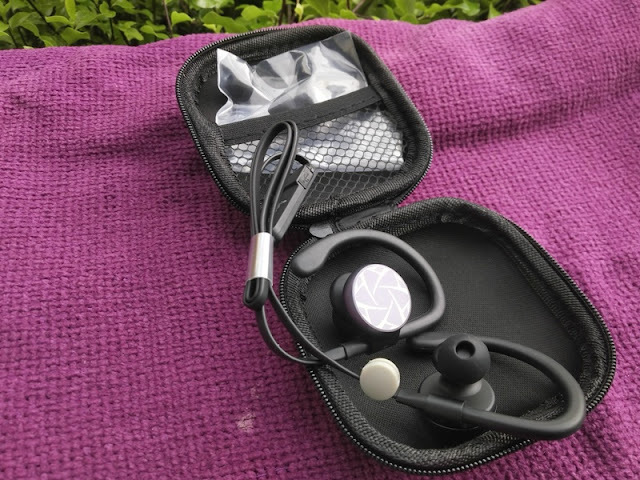 The + and - buttons control both the volume and skipping of songs. To operate the volume, short press. To operate the skipping of songs, long press. To answer, reject or end a call, press the middle button (to reject a call, long press the middle button). To redial the previous phone number, double press the middle button. You can mute a phone call by pressing either volume button. 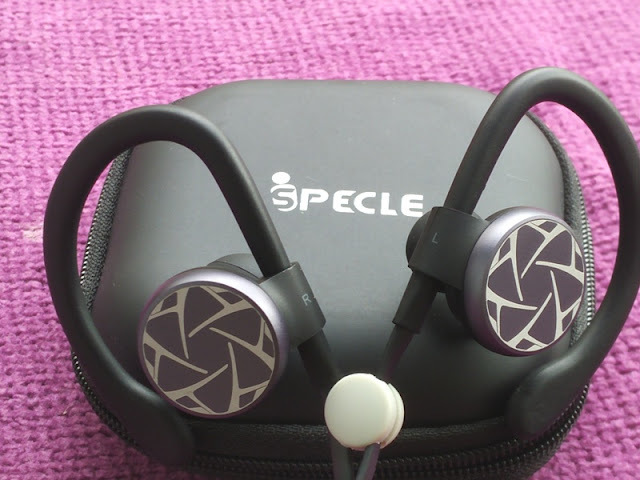 As far as sound, the iSpecle earphones sound superb. Volume can go loud enough and you can hear the highs pretty clear with good amount of bass. From the remote control, you can also activate Siri intelligent assistant to carry out voice commands from an Apple device. Siri is built-in in iPhone 4S and later and in newer iPad and iPod Touch devices. 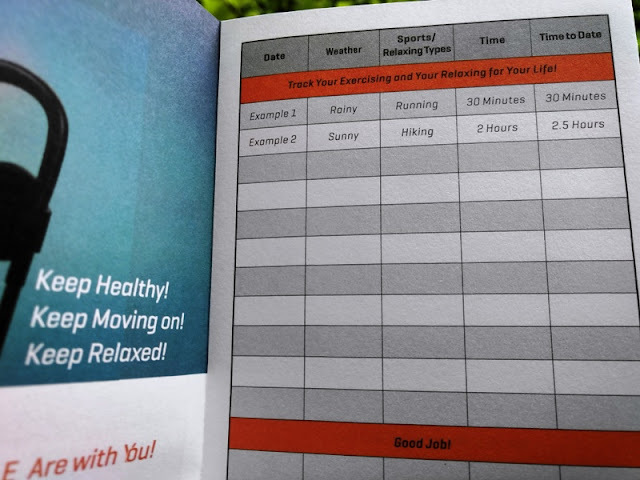 To activate Siri, simply long press either volume button for five seconds or longer. 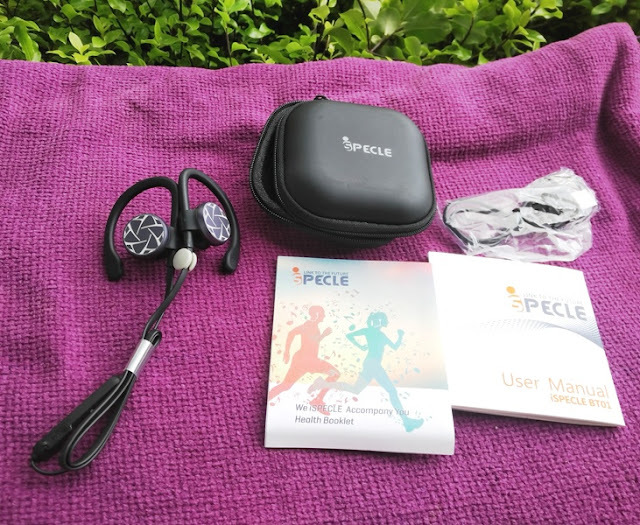 The iSpecle Bluetooth sports earphones also feature multipoint, which is the same technology found on Bluetooth earpieces that allows you to pair the iSpecle earphones to two different Bluetooth devices simultaneously. After the first device is paired, short press the volume buttons at the same time until the LED indicator flashes blue and red. Then, you can pair the second device the same way you paired the first device. 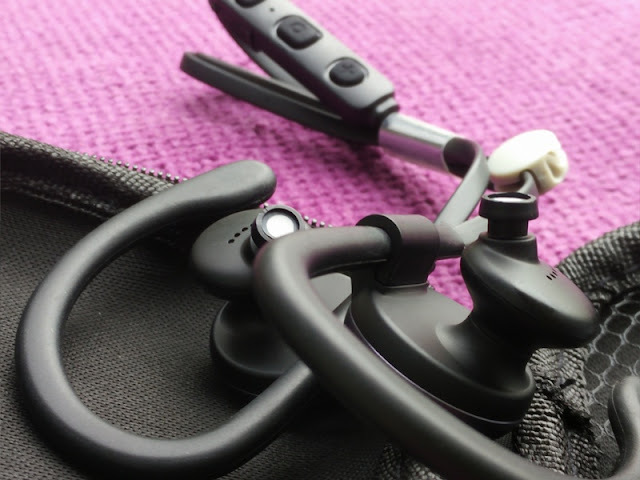 Once both devices are paired to the earphones, you can toggle between devices by pressing the middle button. 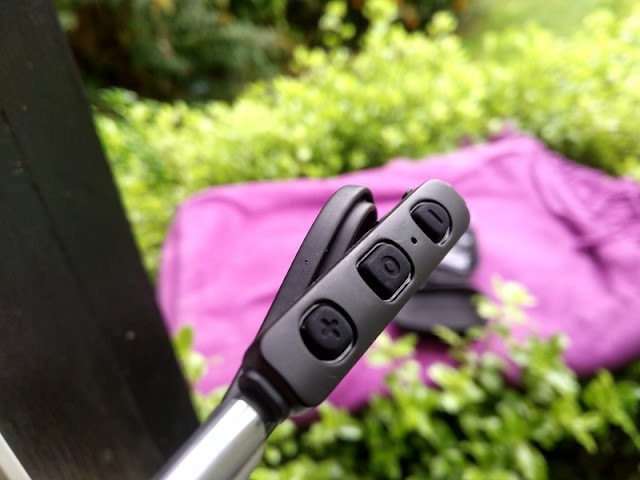 Included with the iSpecle wireless earphones, you also get a micro USB charging cable, three pairs of different size ear buds, a cable management holder, and a soft-shell zip carry case.